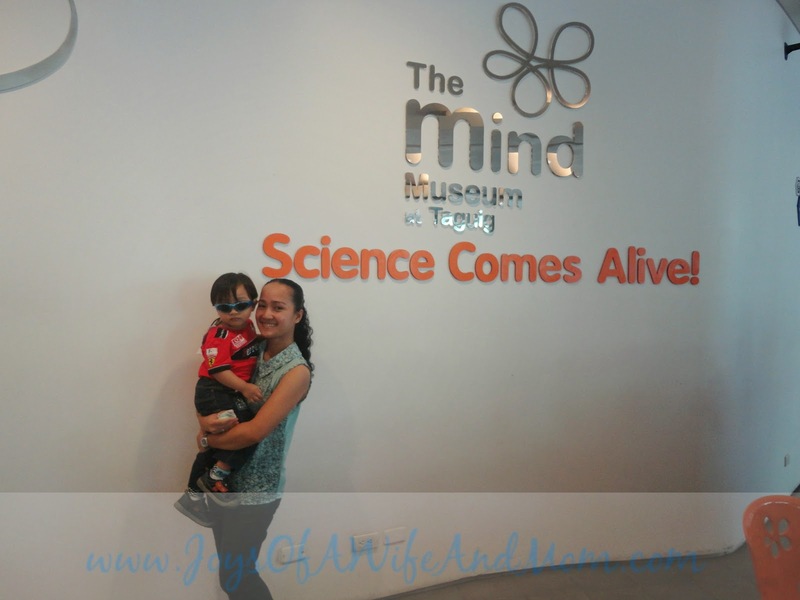 The Mind Museum celebrated its second anniversary and we were so happy to be invited and be part of their Wide-Eyed Wanderer's Exploration last March 22. 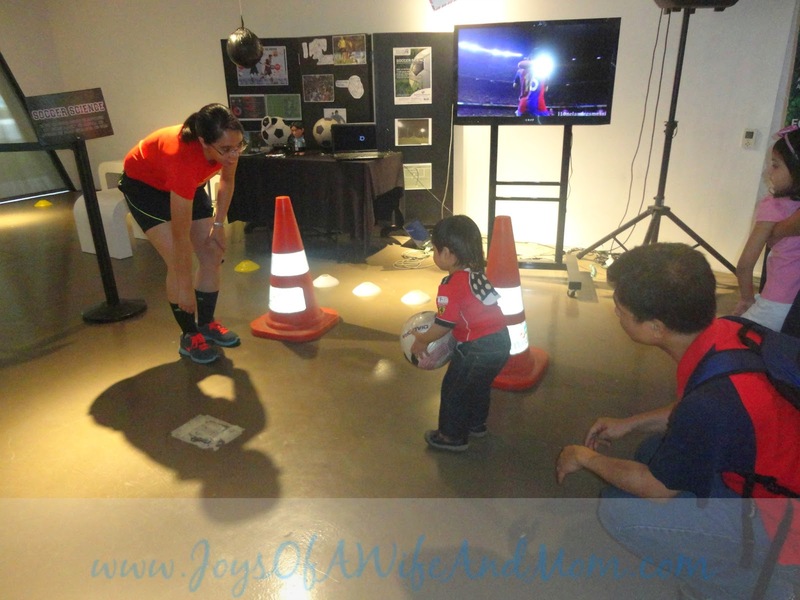 We've been there once when we joined the Mom and Me Fun Circuit October of last year, but it didn't lessen our excitement as there are still a whole lot of things to discover and learn. The registration starts at 1pm and we were there around 10 minutes before the registration began. The little guy was obviously getting a lot more excited already. 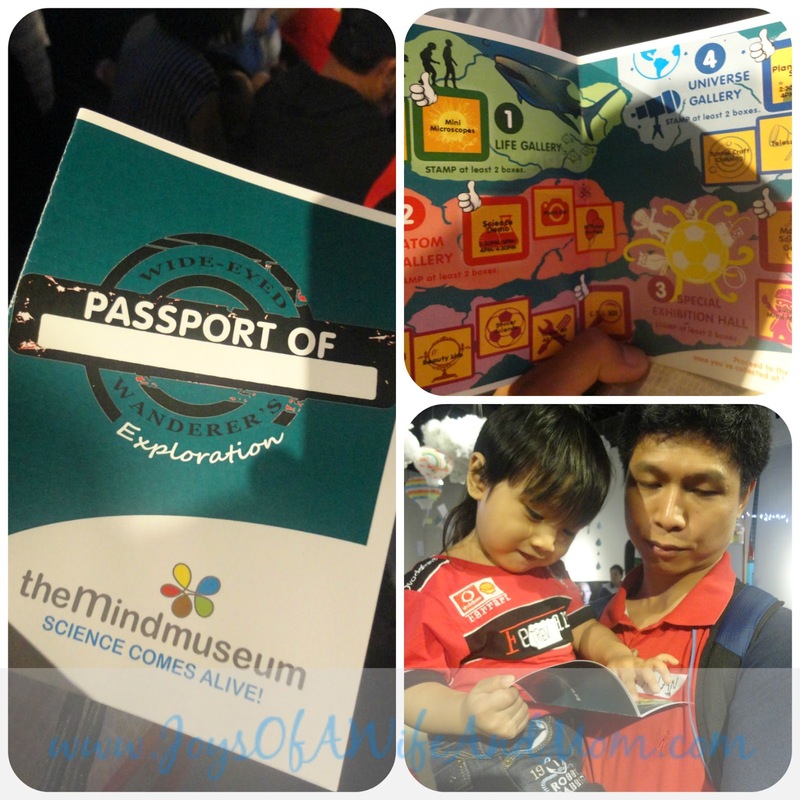 We were ushered to the museum's expedition hall where seats were arranged for the program, along with different science booths that all of us could enjoy and discover. 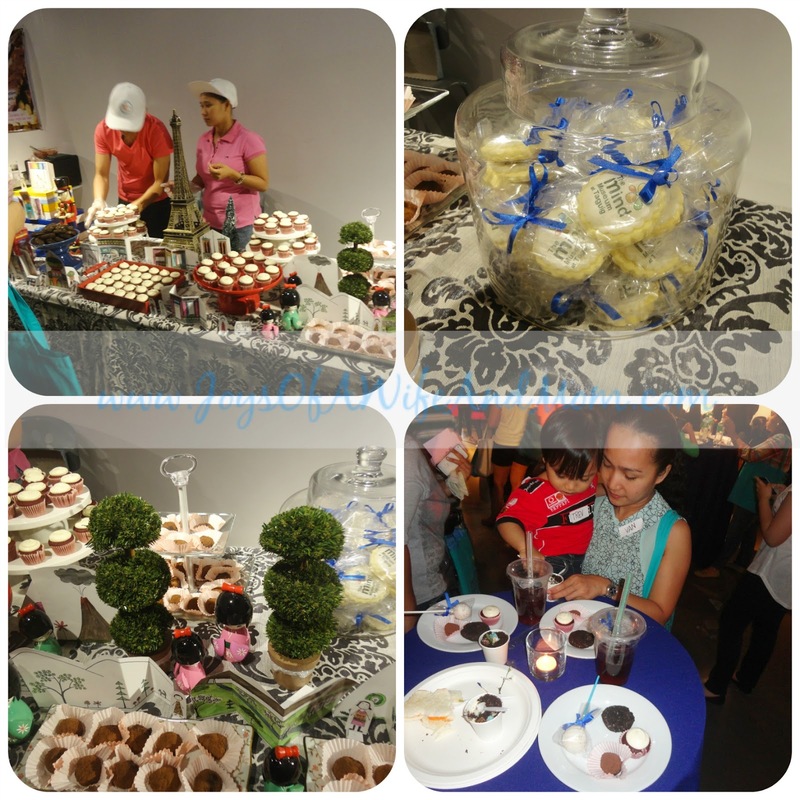 And oh, we were also treated with sumptuous and yummy goodies from their partners, too. Oh, I so love everything at Sophie's Mom's table. Absolutely yum! 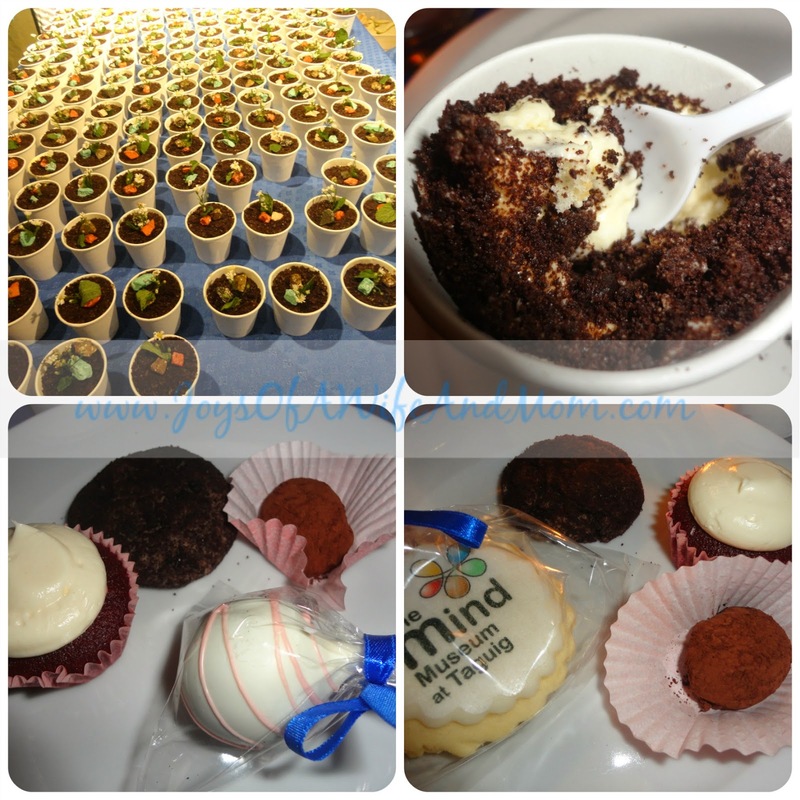 Closer look at the desserts. I just have to add this. Haha! Sophie's Mom's dessert were really good. That lolly - looking dessert was the best. The lady said the flavor was red velvet. Kyle's Lab's garden buffet of cookies and cream was so yummy, too. Even the colored stone designs were edible! Cute! 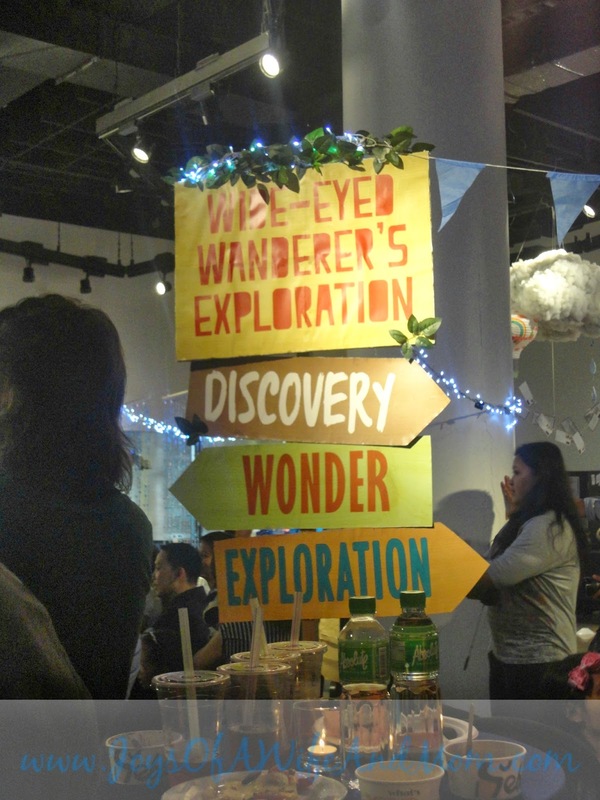 Their theme for this year's celebration is Wide - Eyed Wanderer's Exploration. One of the many booths at the Special Exhibition Hall. 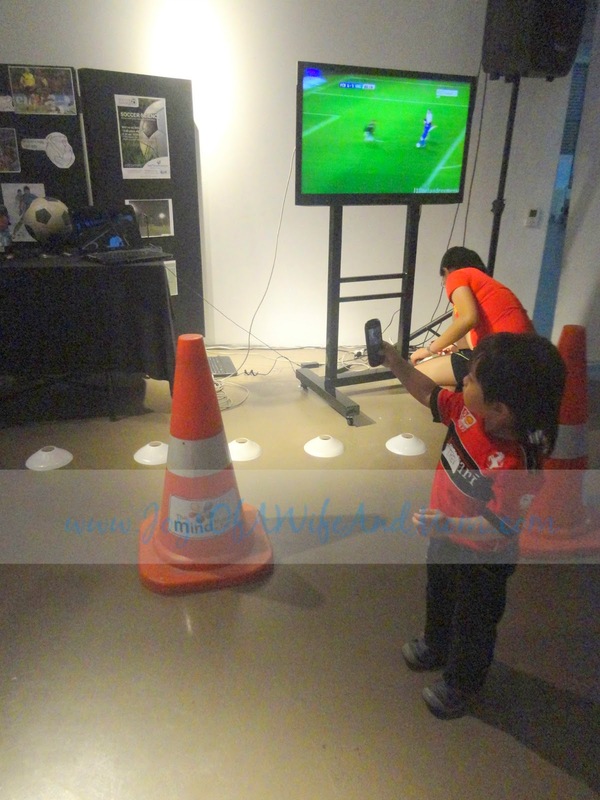 There were so many families and media who all had a wonderful time exploring the museum. After the short talk, each group/family was given a "passport". We were instructed to follow the activities indicated in the passport and get it stamped after each activity is successfully accomplished. First one to finish gets a prize. It was like Amazing Race, haha! We learned a lot from all the stops we went to. It was so much fun and educational. We didn't win though. We were short of one sticker/stamp when the winners were announced. But it was all good. 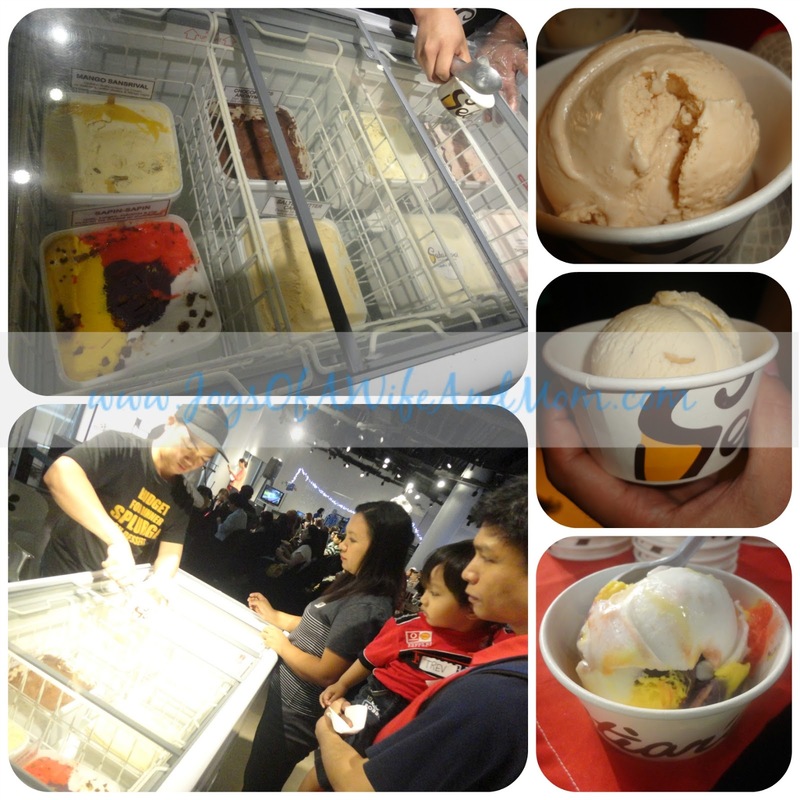 At least, we were able to explore different parts of the museum and learned so much at the same time. 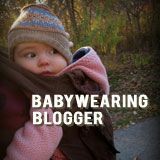 The little one enjoyed it, too. Just a glimpse of the activities we did to get some stickers. 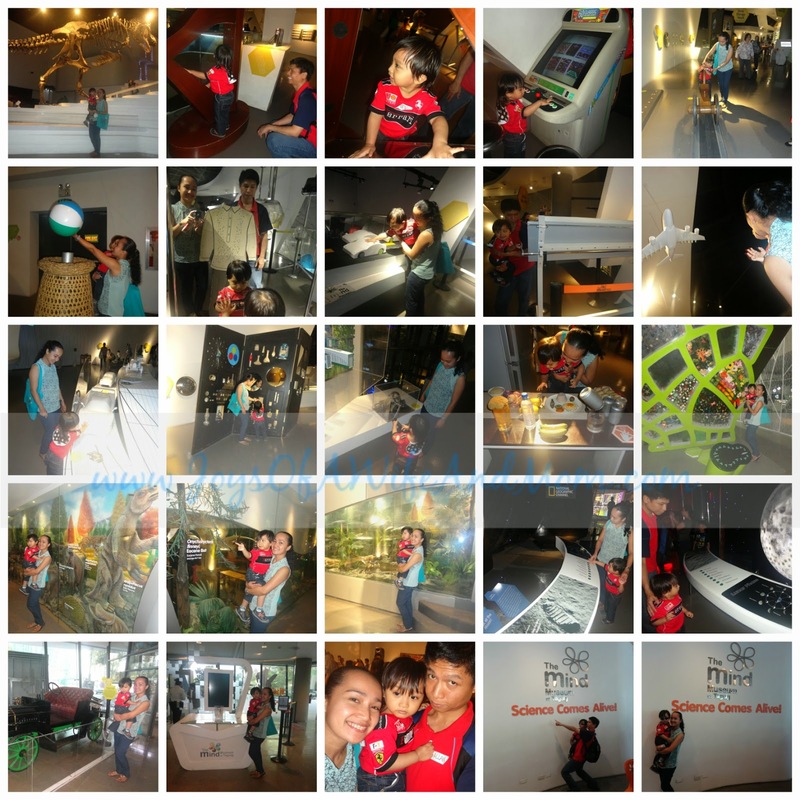 We learned how to make lip gloss out of crayons, how to burn money without actually burning it, we learned about global warming, we were taught about lifting finger prints ala CSI, we also watched a 3D video at the Planetarium entitled "Back to the Moon for Good", and a whole lot more! After that awesome activity, we were again gathered at the hall for some final messages from the host. We were given the chance to explore the museum some more before we went home. 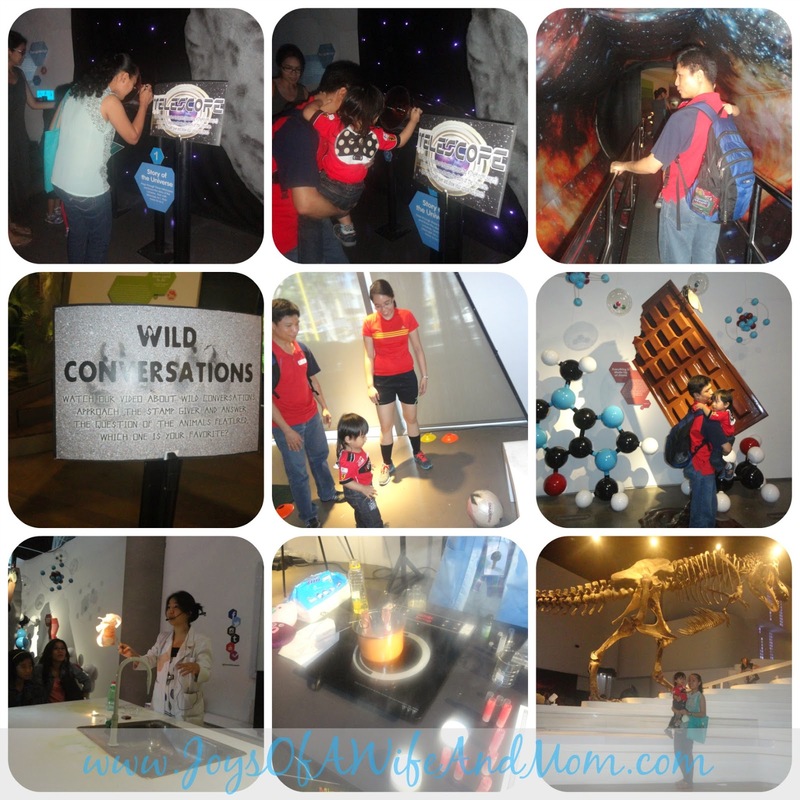 Some of the photos we took while exploring the 5 galleries of The Mind Musem. 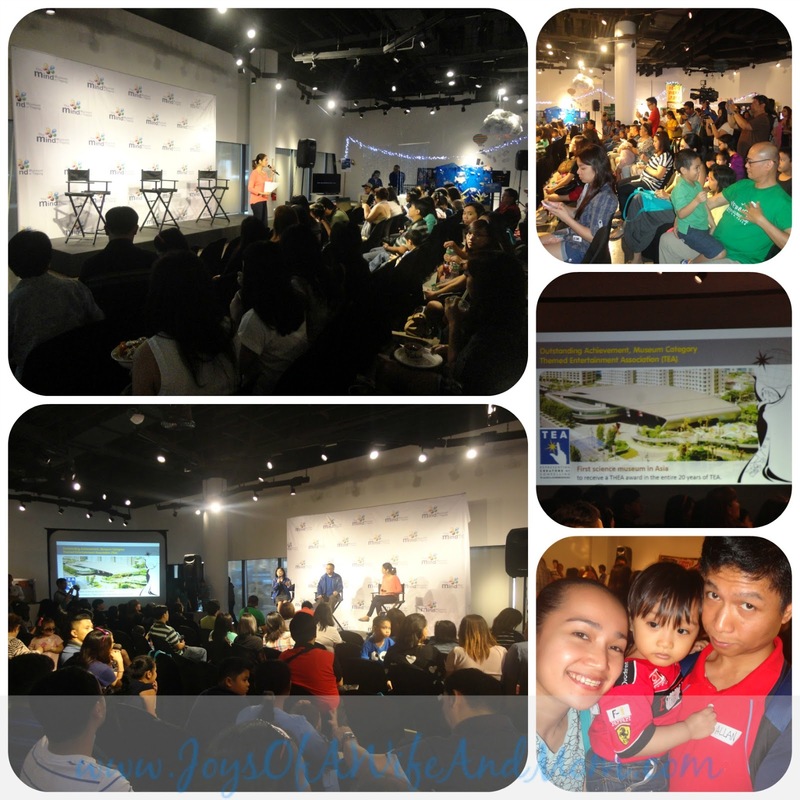 Thank you so much, The Mind Museum, for inviting us. It's not everyday that my family and I get to experience such wonderful day in a place like this to bond and enjoy our time together, not to mention all the learning we got about science. We will absolutely come back for more wide-eyed exploration! 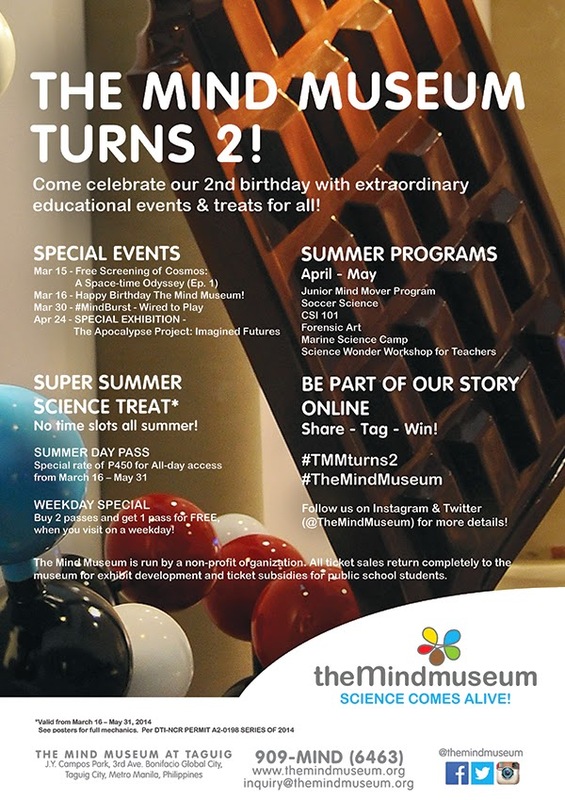 Again, happy 2nd anniversary, The Mind Museum! Note: The Mind Museum Press Release is posted here. The Mind Museum is located at J.Y. 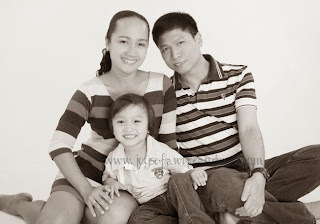 Campos Park, 3rd Ave., Bonifacio Global City, Taguig City, Metro Manila, Philippines. They have Summer Programs coming up, so watch out for it as it surely will be very interesting! They also have a Super Summer Science Treat! Check out the poster below. * Students will be required to present a valid school ID at the gate. ** Academic teachers will be required to present a valid school ID indicating "teacher" or PRC ID indicating "Professional Teacher". A reservation is required for groups of 50 and above to ensure slots. 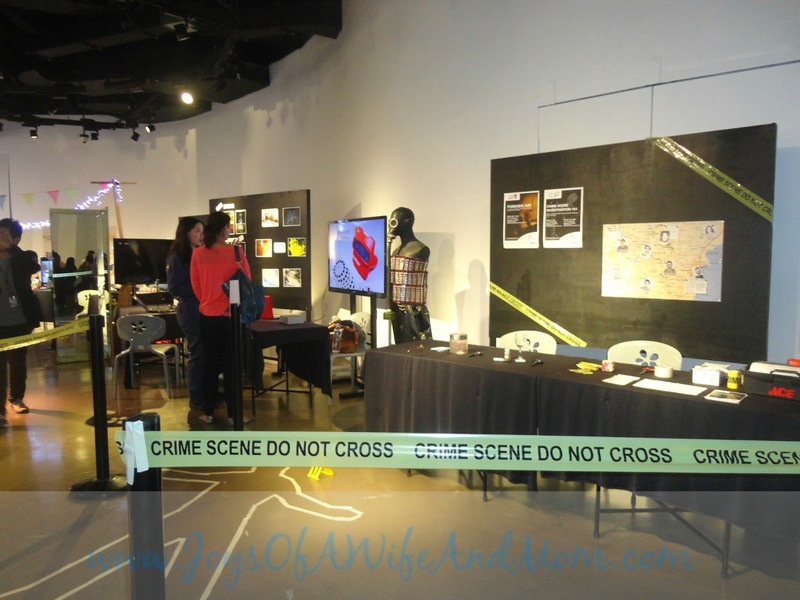 Email The Mind Museum at inquiry@themindmuseum.org to ask about their group rates. I want to visit this place with my nephew. This is so cool! I wish to bring my daughter there this summer. She likes Science stuff. I've been wanting to visit the Mind Museum. It looks interesting and different from other museums that are mostly historical. 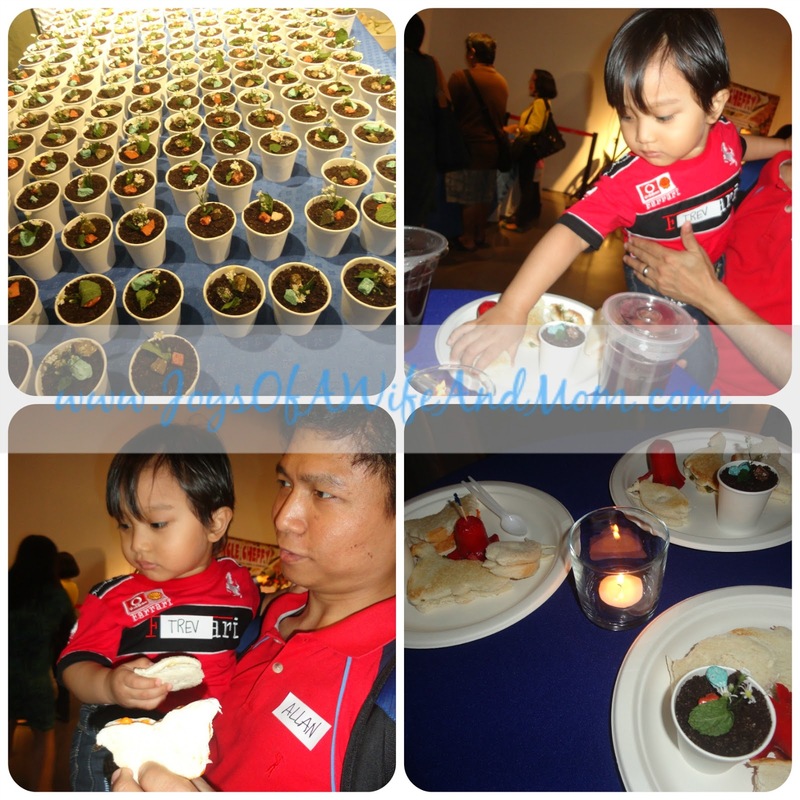 Interesting event you attended.. must have been really fun both eating and learning new things at the same time. 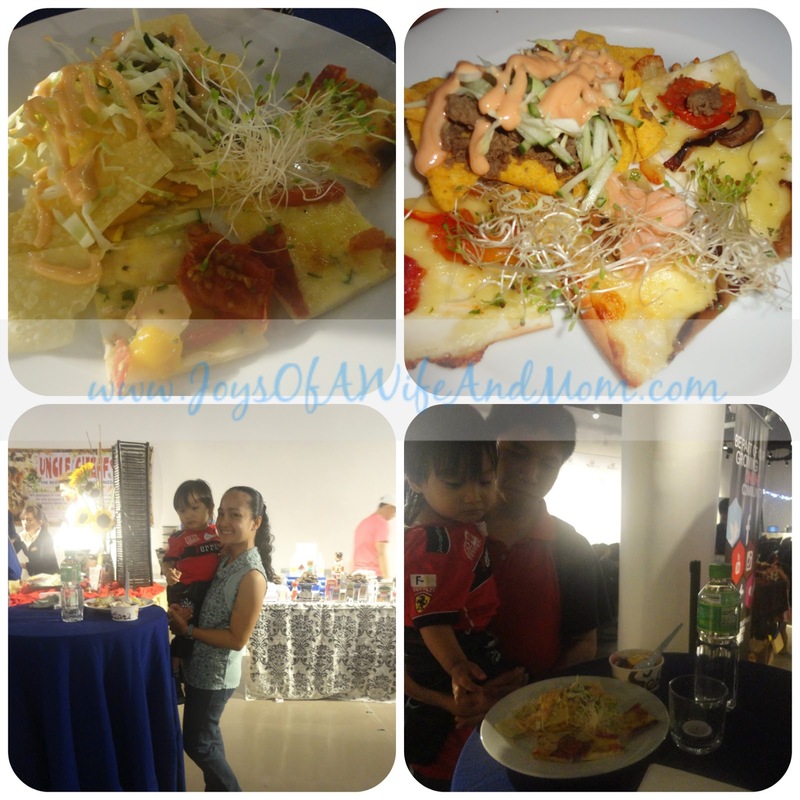 Wow, food palang panalo na hehe :) If your little one had fun, siguro ma eenjoy na rin ng 3 year old nephew ko no? We haven't been there kasi. You are so lucky to experience this... this is a learning experience not only for the kids but for parents as well! And you have an abundance of food, too! i got an invite but sayang talaga, i live so far away! Looks fun! Prices are not also that expensive. Is the location accessible to public transpo? It would be great to be able to visit this science museum. Maybe if I we could schedule it this summer mas ok because of the buy 2 get 1 free ticket. Thanks for the info.